The whole concept of using SEO and related services is to increase the visibility of one’s business but due to high demand of these tools, market is flooded with many companies who supposedly provide the best service. As a marketer it is your responsibility to not fall prey to every gimmick. No doubt SEO is an awesome tool to grow business but it is very important to keep certain criteria in mind. 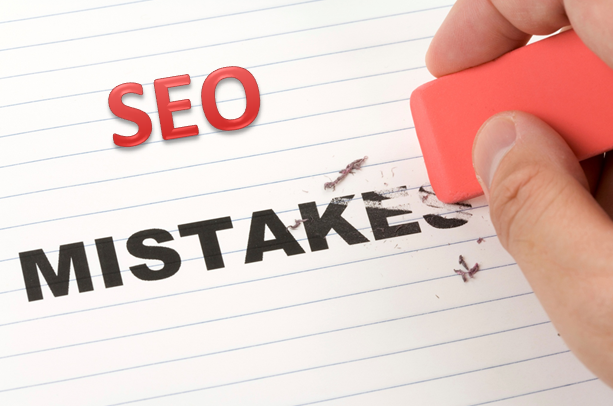 I am going to list certain mistakes which are very common and are generally repeated by every person at leastonce while doing SEO. Read them carefully and save your future campaigns from any unnecessary trouble. 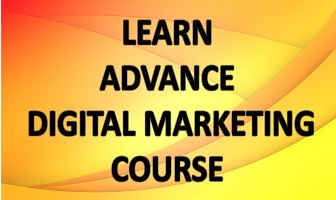 SEO targets keywords which bring traffic to the site. Now keywords are important and everyone knows this but which keywords should be used is a million dollar question here. Always use keywords relevant to your website search. No matter how much someone tries to convince you about multi-purpose keywords, there is no such thing at least not in long term purpose. What you need here is credibility and a good rank which is not possible if search engine does not recognise your site as a valid platform for business. Aim for quality here, show good content, try to add value to your product and all this will build towards your brand reputation and hence a better ranking in website listing. And again I am stressing the same point but in a different tone. Keywords are essential for SEO but overcrowding your page with unnecessary keywords will not help you get a better ranking in SERP’s. On the contrary it will push down your rank and your site might get flagged. Google strictly prohibits keyword overstuffing. Though this technique is often used but try to get out of it asap. Moreover try to work your way around the required keywords in such a way that they are comprehended nicely inside the text. The text along with keywords should be in proper synchronisation like Beethoven’s symphony. Analysis of every strategy is important so how can you not analyse your website. As all the business is connected to your site keeping track of it is a highly recommended strategy. Google offers webmasters console as well as the amazing feature of Analytics which will help you gauge the recent traffic on your site thus ensuring whether your SEO techniques are being fruitful or not. This shows you data in real time scenario, makes it easier to comprehend and apply suitable changes. Embed Analytics into your webpage and carefully study the result. Now when I say clean don’t imagine a mop. Clean here refers to clutter free and unbroken links. Every page contains drop down menu, next and previous links and sometimes other links for better internal navigation or links to some external reference site. Now the job of these links present on site is to make it more useful and easy to navigate but imagine the users dismay when these links are broken or return an error. Worst of all is when they point to a completely irrelevant site. All this can seriously damage your reputation and will bring down the overall ranking. So always make sure to sweep your site for any broken links. Remember your school teachers always telling you not to cheat. Well if have not listened to them in past try to read below carefully as I am going to repeat the same ‘gyan’ (knowledge). If you use copied content on your site and then try to SEO it, Mr Google will get very upset and as a result your site might get de-indexed. Not to mention the havoc it will bring on your ranking and your reputation will go to dogs (who btw are really adorable but in this case it means disaster). Also avoid having content duplication on your site i.e. when two pages share the same content. Now this might be your genuine idea drooling all over but Google will see it as content duplication. Only one page will get indexed and overall authorisation will feel a setback. So I would recommend that you hire a skilled content writer who can produce genuine, quality oriented content for your site.Trust me when I write : This will solve a lot of your problems. These two things can give you some popularity when correctly used else they will harm your ranking. What I mean when I say Unique Tags is: Put a unique title on every page of your site,it might be the continuation of previous page but Google’s index will not see it like that. So play smart and avoid same titles. Certain softwares like Joomla, Drupal or others in this category can generate such titles themselves so do check for it before final page is uploaded. Now comes Unique Description: It’s an SEO disaster because as told earlier repetitive keywords will bring more harm than good. On the same lines repetitive Meta Descriptions will harm ranking. Again go for skilled writers who can create unique product description for entire catalogue. This will bring more traffic as every page will get indexed and you’ll also get a reputation of being original. To conclude: Make sure you spend your valuable time on result producing keywords and at same time avoid stuffing, use Analytics to see whether your SEO keywords are generating required results and never ever copy anyone’s material for your site. Apart from all this take a vow to never include broken links or improbable links as they will return an error. Always include trustworthy links which have verifiable data. Remember that at the end of the day it’s your website and your reputation at stake. Try to avoid these common mistakes and you do just fine maybe awesome in couple days.